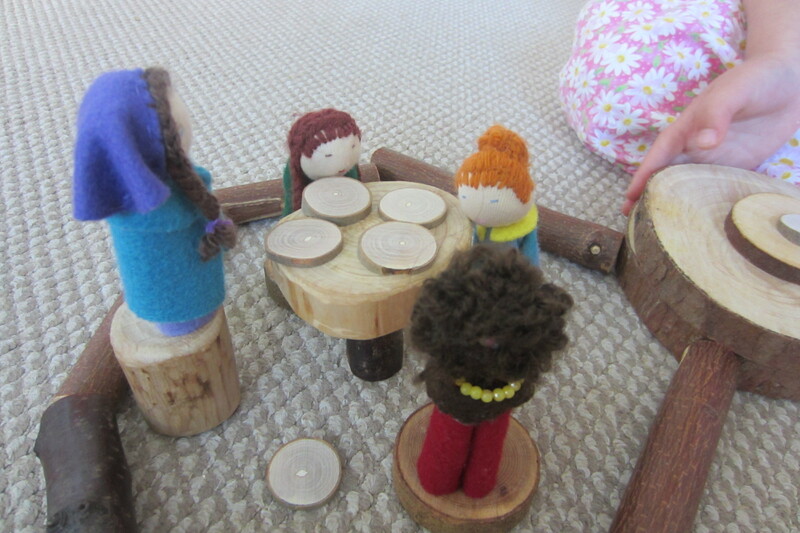 I found A setting up the felt finger puppet ladies and girls to have a tree block tea party. And I have some ideas for teacups! 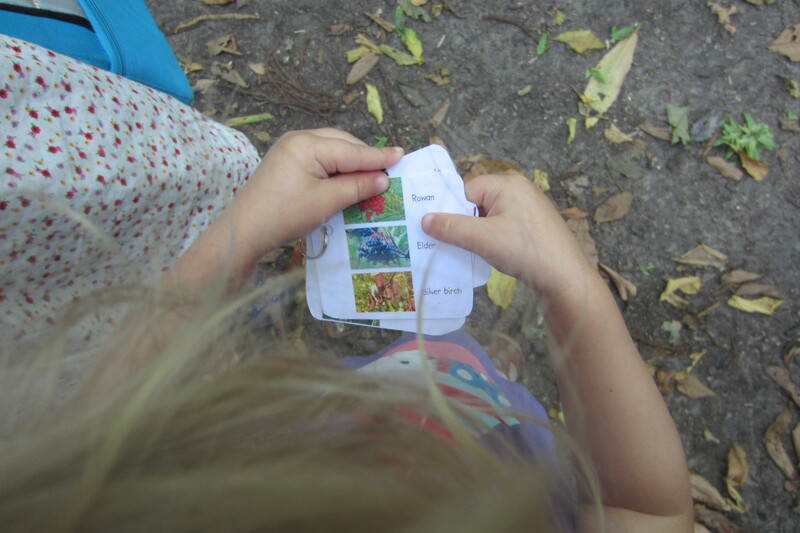 We LOVE our leaf identification booklets we made from printouts off of the Nature’s Detectives website. We used these ones, cut them out, laminated the, punched holes, and then put a keyring through it. 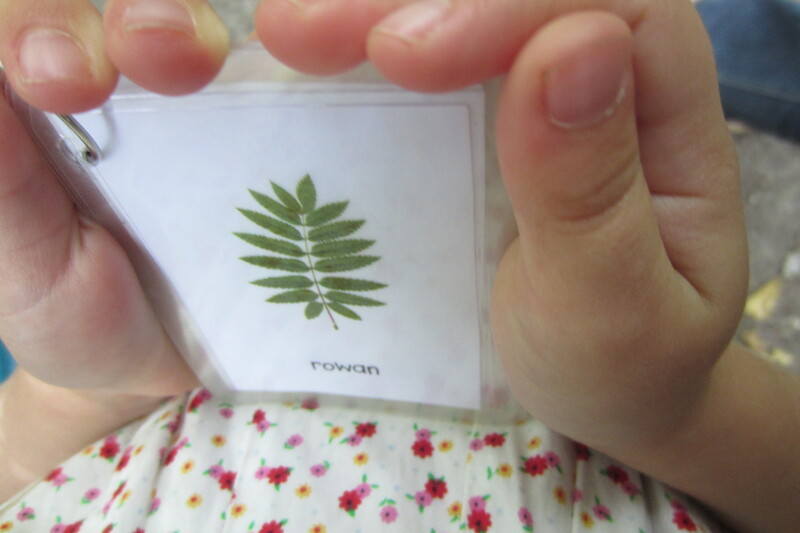 And there you have an awesome little leaf identification booklet to take with you everywhere! I keep ours in our ‘going out’ backpack so it’s always there if we need it. 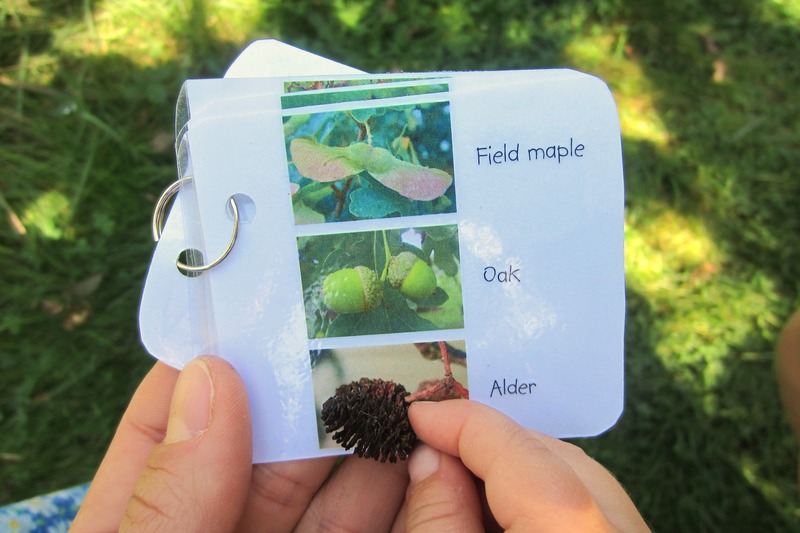 We also have one for seed identification, you can use this one and do the same as with the leaf booklet. 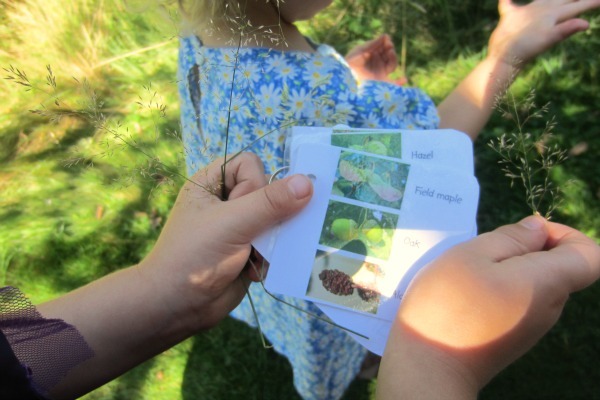 Today A found some elderberries herself by picking off a leaf from the tree, matching it to the booklet, and then telling me what she found! 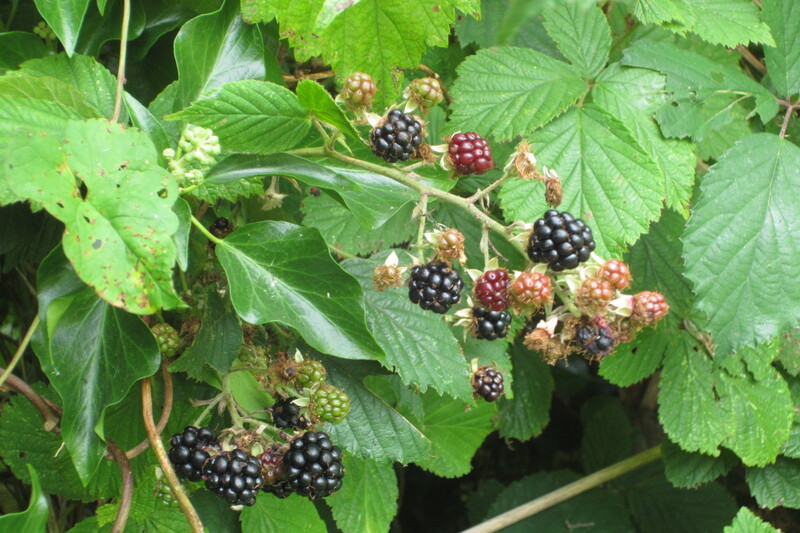 More blackberry and elderberry crumble coming! 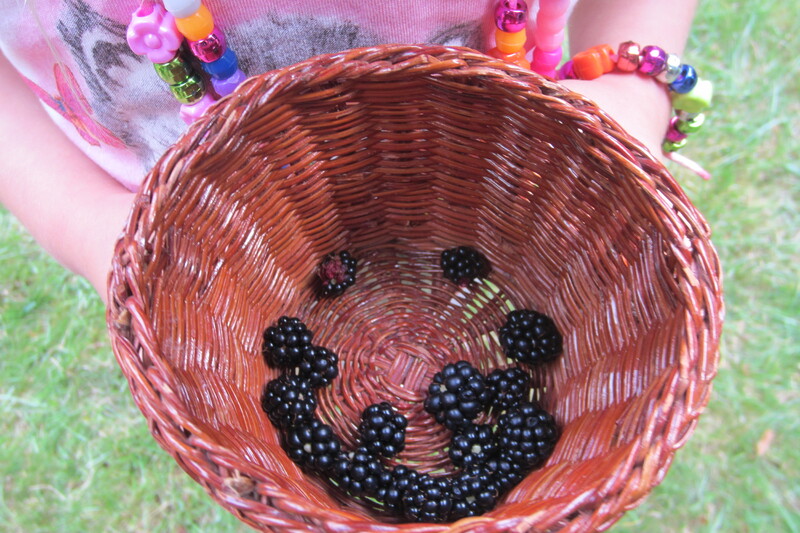 It’s so satisfying when you peek through the bushes and see a bunch of plump, ripe, blackberries! 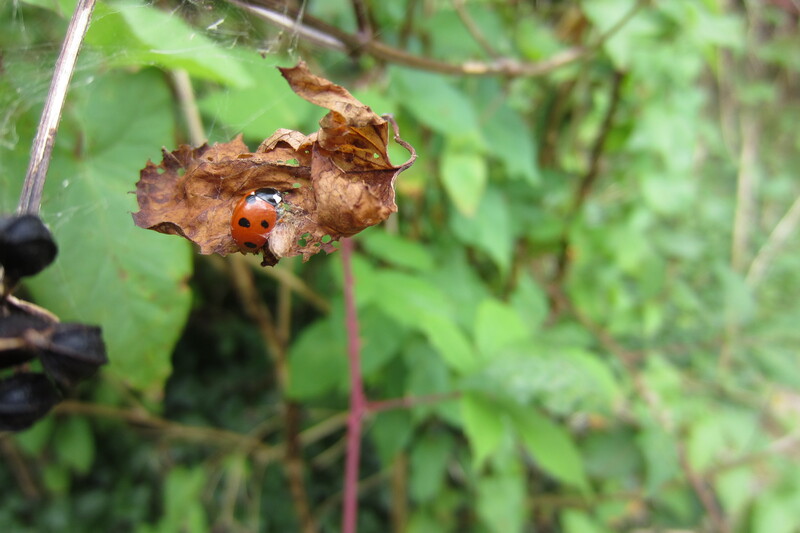 And a dainty little ladybug hiding in the leaves. 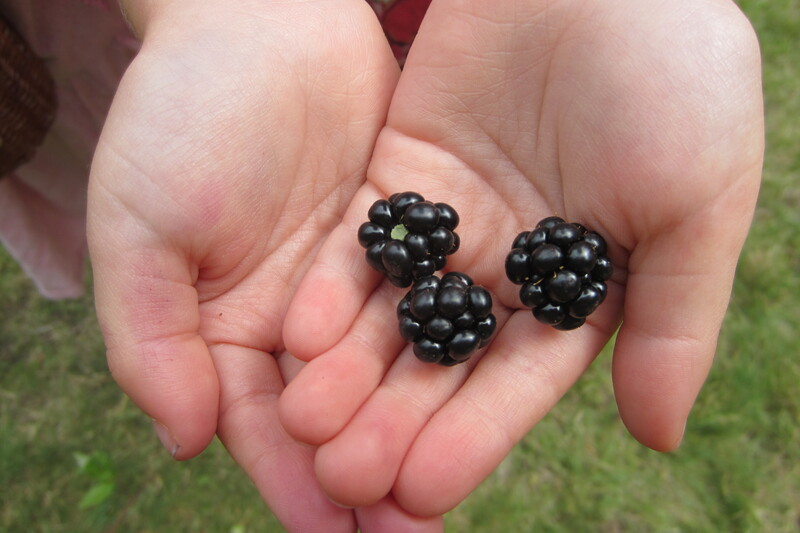 Isn’t it so much fun getting free food from nature? I love it! 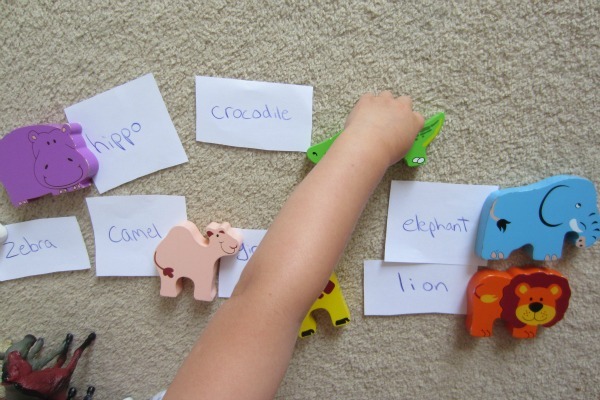 We play simple games like this to help our 2 year old with reading. 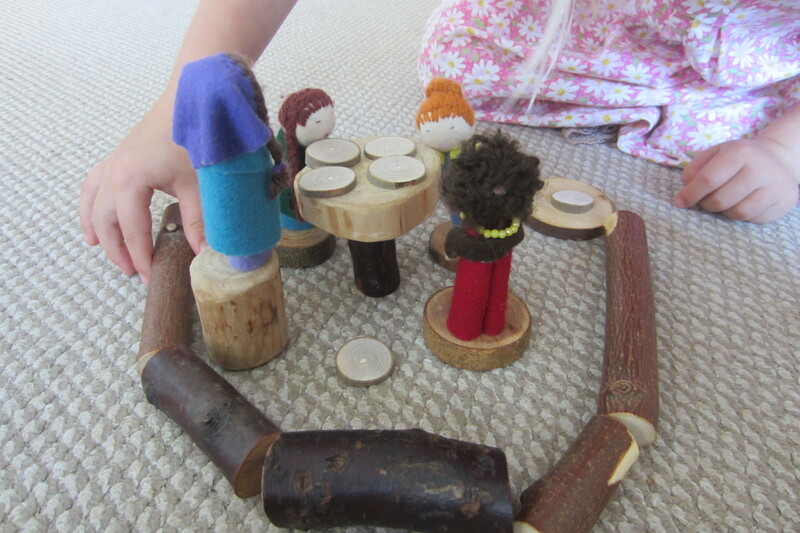 She loves these games, and they last only a couple minutes, so she never gets bored or feels like it’s ‘learning’! We usually have a pile of animals or something, and the word cards. I’ll tell her what one says and show it to her, and ask her to match the animal to it. After we’ve done that, if she still wants to do more, I spread out the word cards and get her to match them, helping her if she doesn’t remember what they say. It’s mostly just to get her to look at the cards and be told what they say, in a fun way! 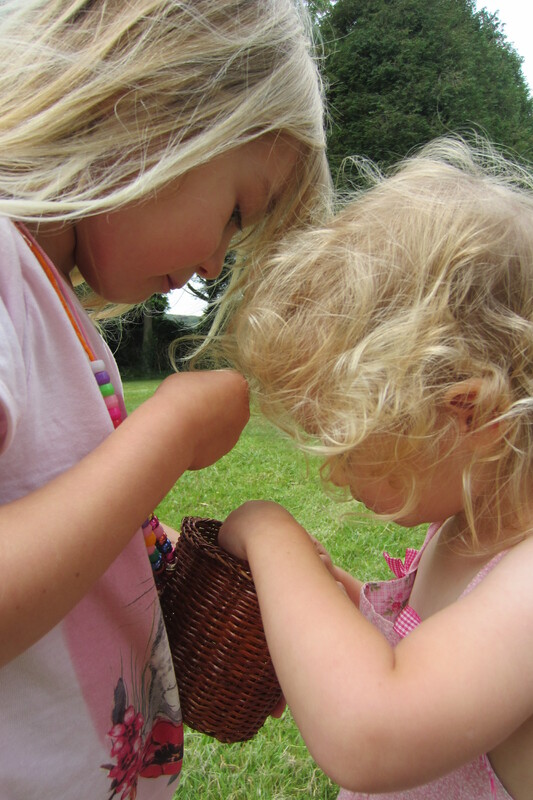 The trick is to stop before the child is bored, so they always want to do it and don’t associate it with boredom. 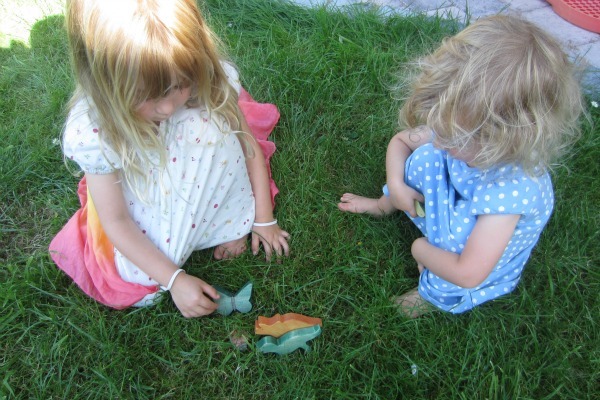 Just some photos of the kids playing in the grass with some wooden friends I made! 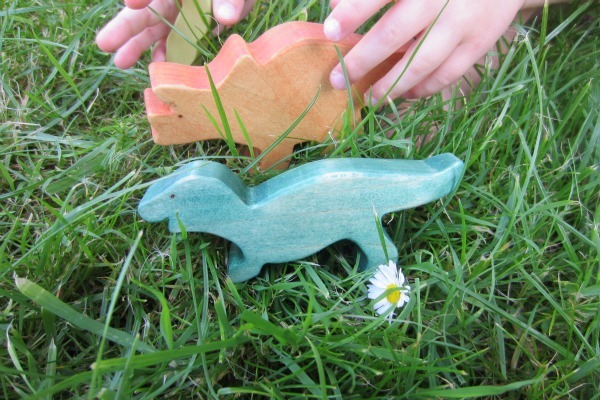 Steggie and T- Rex meet the butterfly. 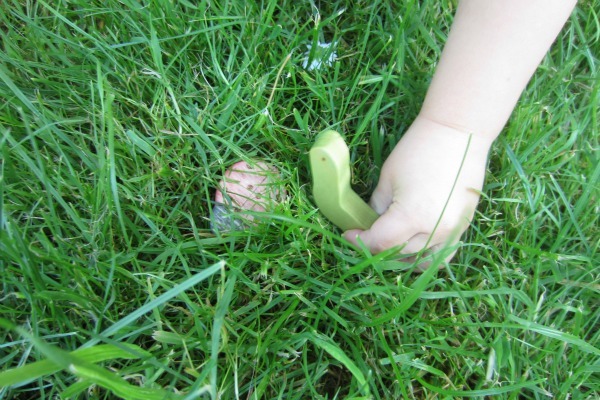 Caterpillar finds a ladybug hiding in the grass. 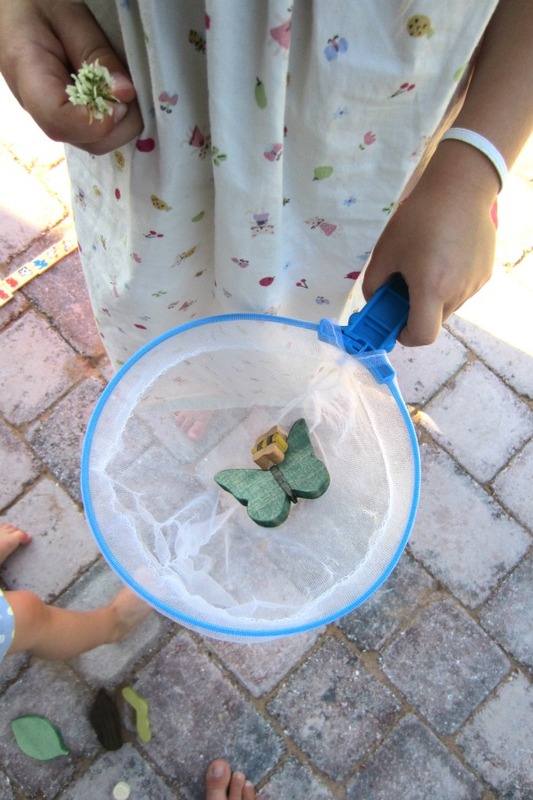 Catching a wooden butterfly and bee in the net. 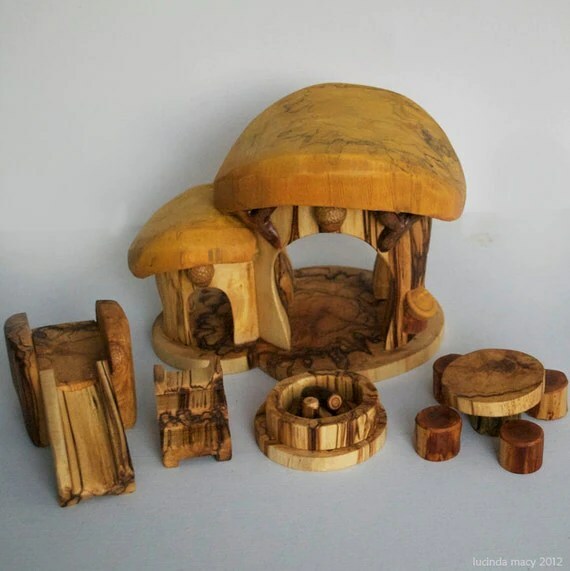 Here are some Etsy shops I just totally love, and like to spend time just looking at the beautiful things they make! 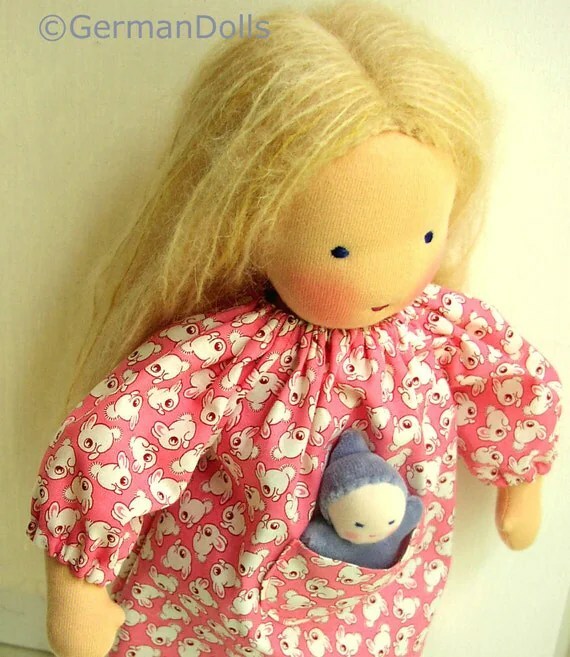 I have loved the dolls made by Ulla Seckler at GermanDolls for a couple years now. 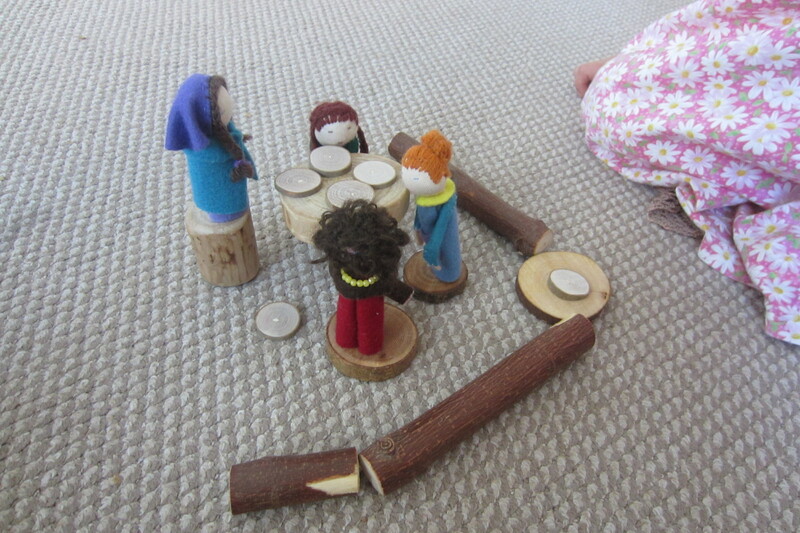 Sometimes when we’re bored, my daughter and I sit and just look at all the dolls in her shop! 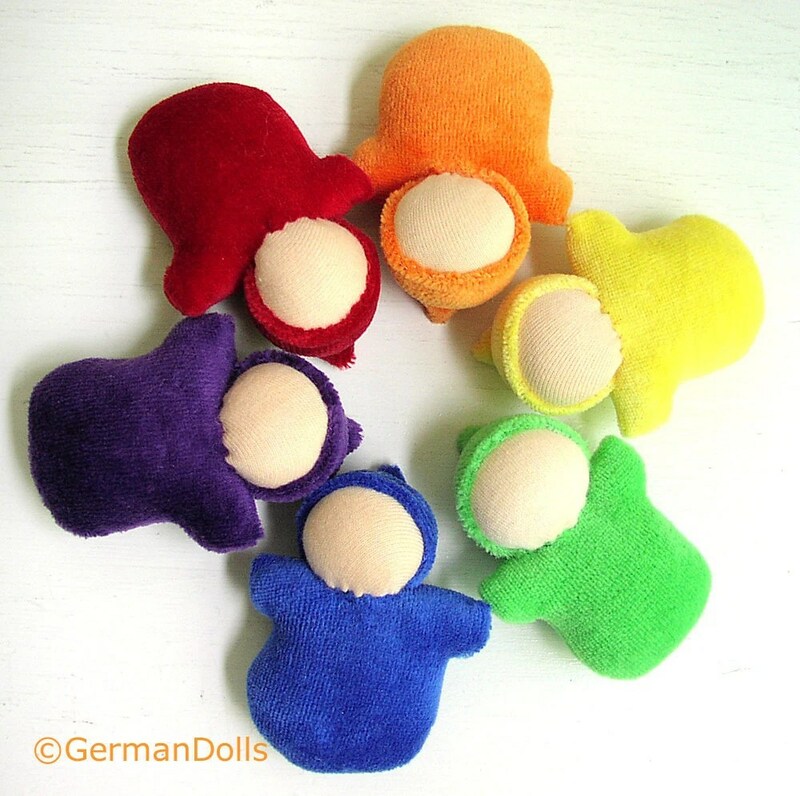 I especially love the pocket dolls! 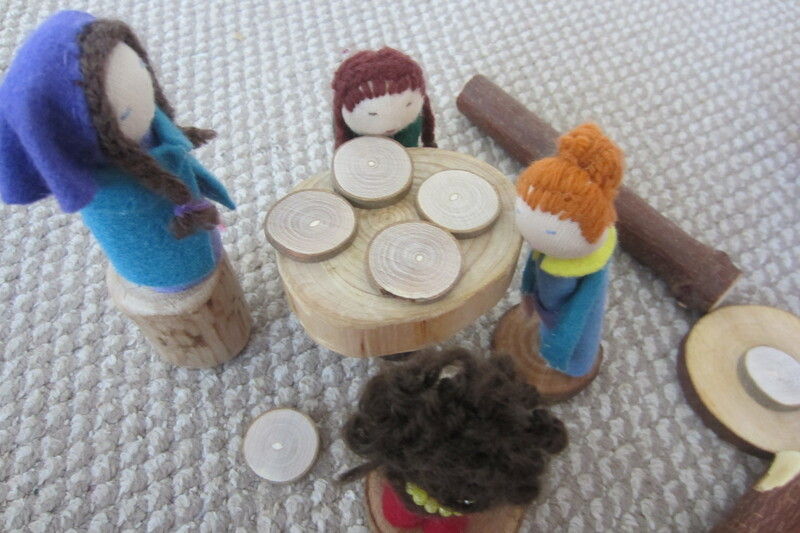 Another favorite shop of mine is Alkelda Dolls . Ok, so I like dolls! 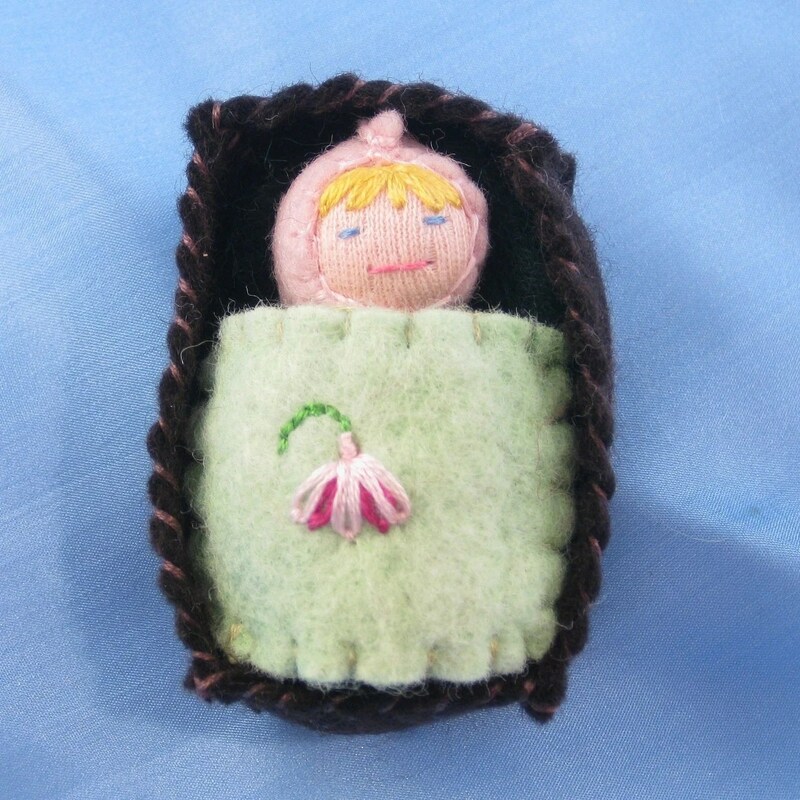 Check out this totally cute little baby sleeping in its bed! 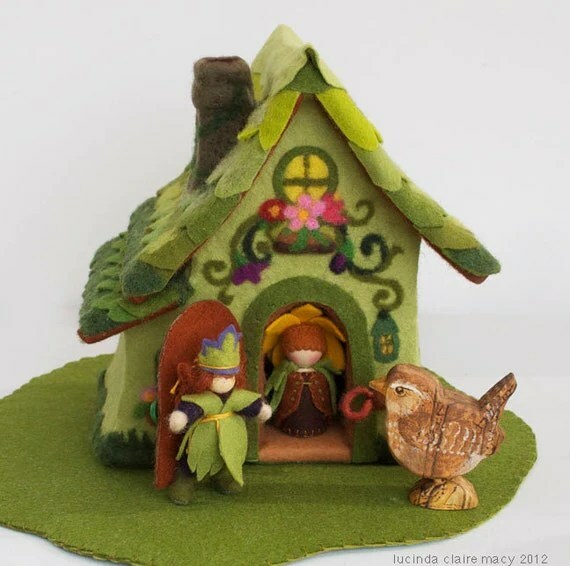 They have loads more beautiful little houses, and how about this little gnome home? Beautiful stuff! What do you like best? 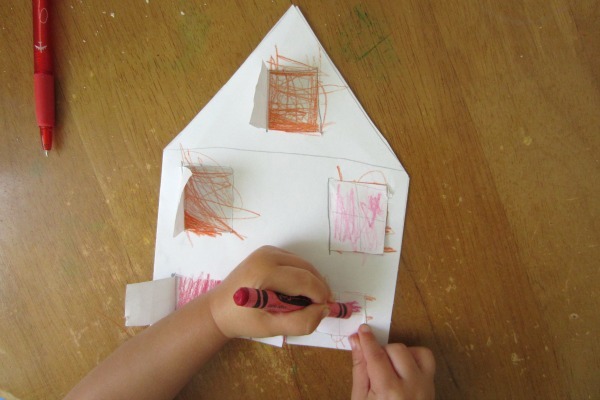 I cut out 2 of the same of a shape of a house, cut a door and window that open in one of them, and then glued them together. 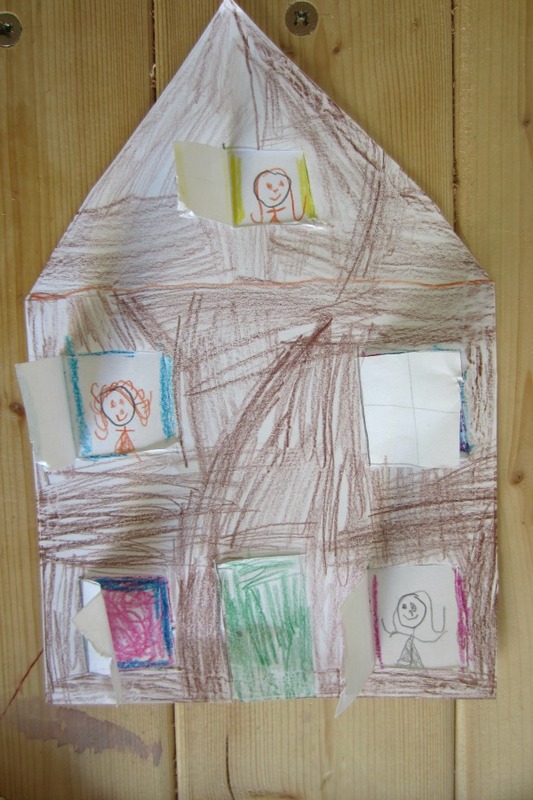 The girls had great fun drawing inside the windows and doors and coloring their houses!